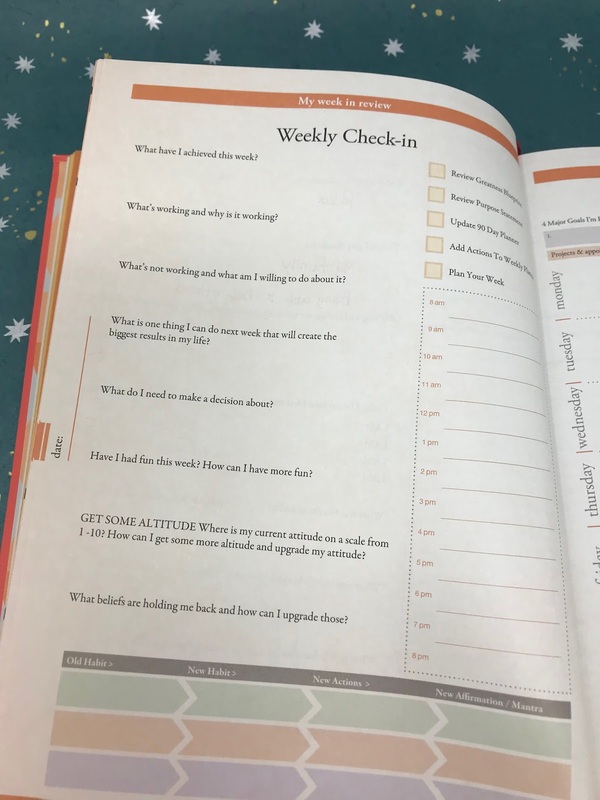 I had heard about the Daily Greatness Journal: A Practical Guide for Consciously Creating Your Days for a while, but couldn’t justify the cost of $49.95. Last November I decided to look at it as an investment in self-development and I made the purchase. There is a lot of reading at the beginning of the journal as it challenges you to think about what you want in your life. There are areas to fill in about Values, Dreams, Goals, Your ‘Why’, Personal Statement, Greatness Blueprint. Think about that- A Greatness Blueprint. 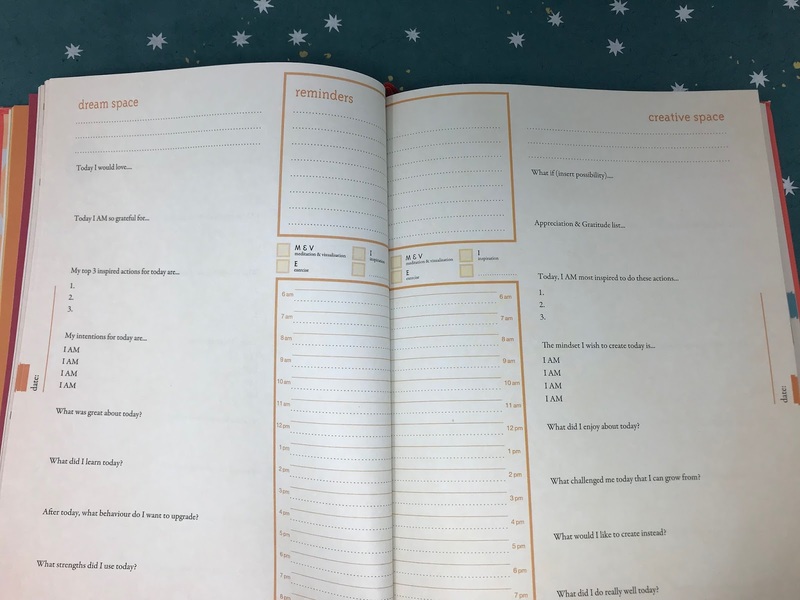 Not that you need this journal to create one, but I love that they thought to include it! Once you’ve spent some time, thought and energy on the bigger picture, it’s time to get down to business. The Daily Greatness Journal is divided in four quarters with a 90-day planner at the start of each quarter. 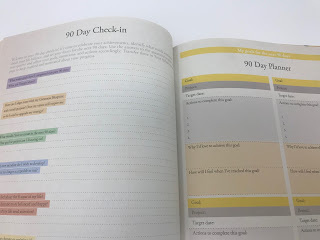 There is also a 90-day check-in so that you can track your progress for the previous 90 days. year as developed and explained by Brian P. Moran in his book, The 12 Week Year: Get More Done in 12 Weeks than Others Do in 12 Months. Moran explains that by creating and tracking goals quarterly, you can track your progress better, change course sooner if something isn’t working, develop clear action plans and measurable follow-up. You can still have annual goals, but the idea is to break the bigger goals into smaller ones with actionable items. 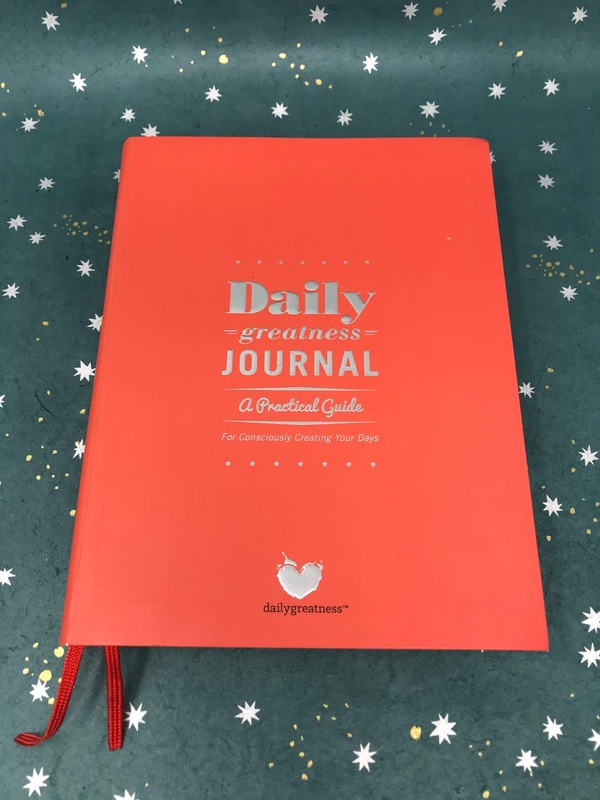 The Daily Greatness Journal includes a space for your ‘Why’ as well as a place to list 5 actions for each goal. If you’re not ready to be serious with your goal setting and follow through, then this book is not for you. 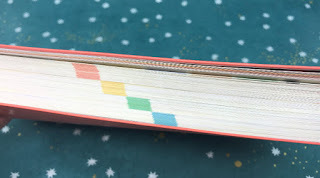 The majority of the book is made up of daily pages, a weekly check-in and a weekly planner. 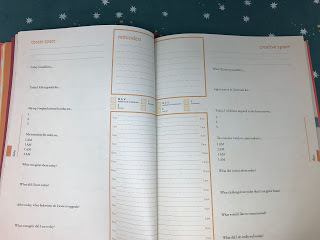 To get the best use out of this planner, it should be used in the morning and the evening, although whatever usage habits you decide and can stick with, will work. The calendar is not dated so that you can begin using this at any time throughout the year and don’t need to wait until January 1. I spent a lot of time on the pre-work (goals, plans, values, etc) and started tracking my daily, weekly, monthly activity, ideas and plans, but found that I wasn’t resonating with some of the areas. For example, each day it asks you to list four things about you saying “I am ____”. And you do this four times, every day. While this started off OK, it quickly got repetitive and uninspiring. The journal is not really meant to be toted around as it is hefty and substantial. 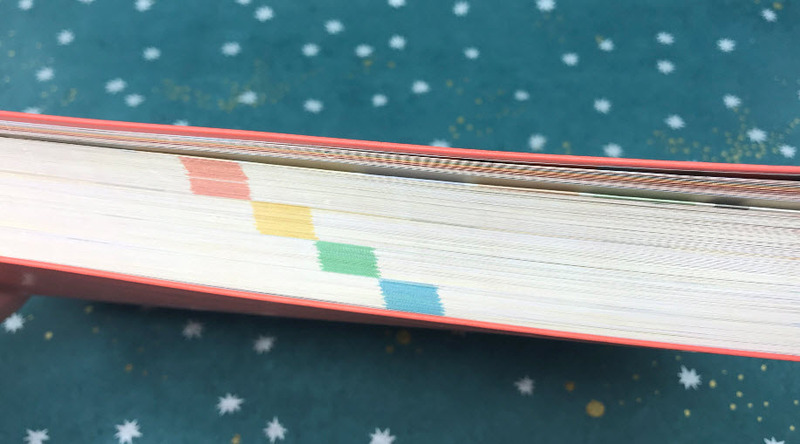 I keep it at my desk and am considering other ways to make it more customized and useful to me, such as using Washi and stickers to treat more like a Traveler’s Notebook, or my Hobonichi, which is my new favorite. I’ll keep you posted on that!